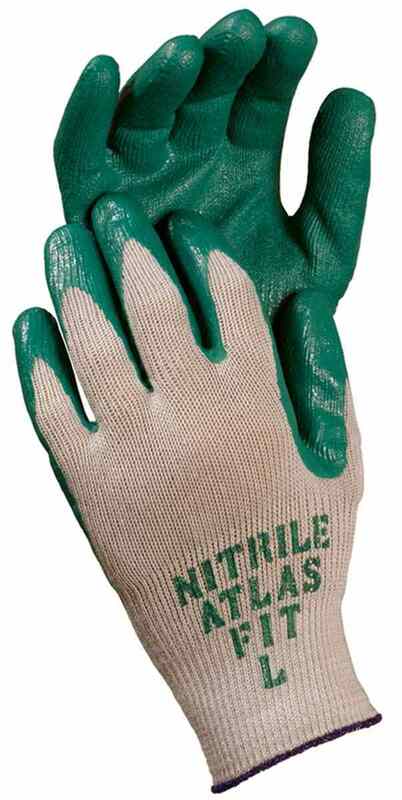 Showa Atlas 350 NitrileFit gloves provide excellent protection against a wide variety of chemicals including many acids, solvents, petrochemicals, caustics, oils, fats and greases. 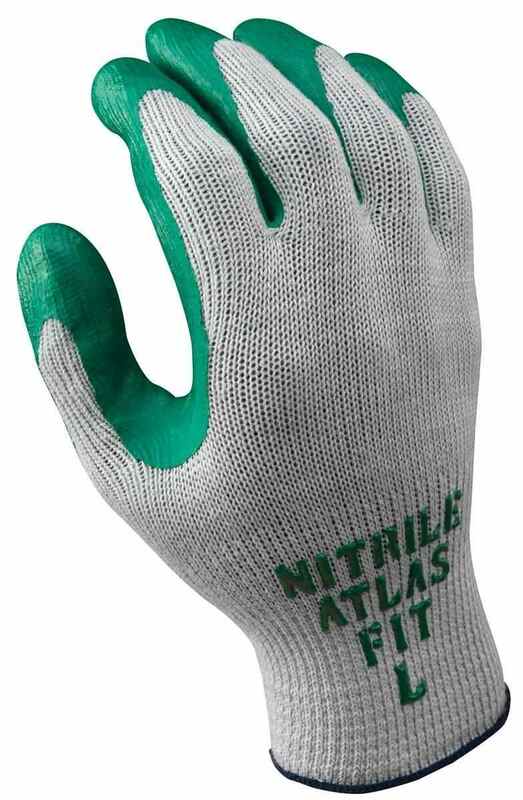 These gloves offer the comfort and practicality of the Atlas 300 series gloves, while providing a nitrile coating for added puncture and cut resistance. Specially formulated nitrile coating provides increased puncture and abrasion resistance with an excellent grip. Grease and oil resistant coated palm and fingertips. Seamless liner and ergonomic fit. Open back for perspiration-free wear.